Following Barnsley's Sky Bet League 1 Play-Off Final victory over Millwall, there is now just one slot remaining in next season's League One table. 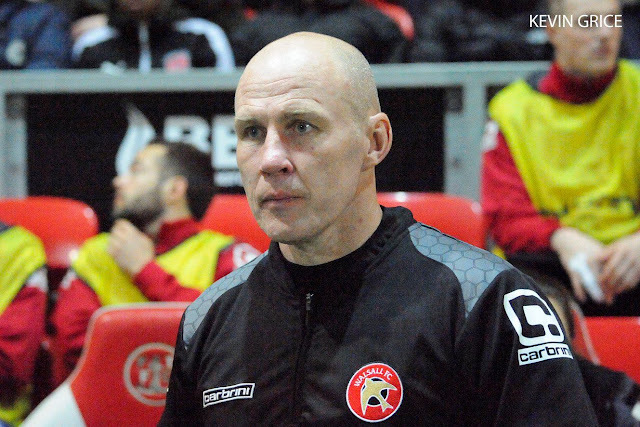 Walsall's Interim Head Coach Jon Whitney has spoken to BBC WM Sport following Thursday evening's Play-Off Semi Final Second Leg defeat to Barnsley, and has admitted that he is not certain of his future role at the club. 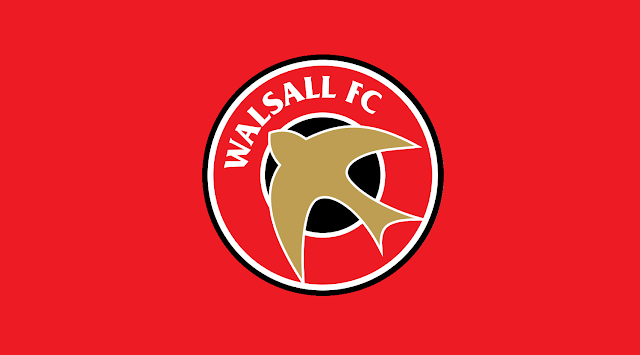 Whitney - "They Were a Much Better Team, I Hope They go on & Win it"
Walsall's Interim Head Coach Jon Whitney has spoken to club journalists following Thursday evening's Play-Off Semi Final Second Leg defeat to Barnsley, and conceded that the Tykes deserved the win. AUDIO | Whitney - "Over the Two Legs, They Deserved it"
Walsall's Interim Head Coach Jon Whitney has spoken to BBC WM Sport following Thursday evening's Sky Bet League 1 Play-Off Semi Final Second Leg defeat to Barnsley, and has admitted that the Tykes deserved the victory over the two legs. On Thursday evening, Jon Whitney's Walsall played host to Barnsley in the Second Leg of their Sky Bet League 1 Play-Offs Semi Final. You can read our match report below. Whitney - "The Players Have to Make Sure They’re Right for a Battle - not a Football Match - but a Battle"
Walsall's Interim Head Coach Jon Whitney has spoken to club journalists ahead of this evening's Play-Off Semi Final Second Leg clash with Barnsley, and has called upon his players to manage their emotions as the game nears. Etheridge - "Motivation Will Not be an Issue"
Walsall goalkeeper Neil Etheridge has spoken to the local press ahead of this evening's Sky Bet League 1 Play-Off Semi Final Second Leg clash with Barnsley, and has insisted that the team will do all they can to get back into the tie. Walsall's Interim Head Coach Jon Whitney has spoken to BBC WM Sport ahead of Thursday's Play-Off Semi Final Second Leg clash with Barnsley, and has discussed several things including his desire to make history. Whitney - "We Owe it to the Fans & We’ve Got to Put a Shift in for Them"
Walsall's Interim Head Coach Jon Whitney has spoken to club journalists ahead of Thursday evening's Sky Bet League 1 Play-Off Semi Final Second Leg clash with Barnsley, and has called upon his team to put in a shift, and leave 'everything out on the pitch' as they look to reverse a three-goal deficit. Whitney - "What an Opportunity We’ve Got to Create a Bit of History"
Walsall's Interim Head Coach Jon Whitney has spoken to club journalists ahead of Thursday evening's Sky Bet League 1 Play-Off Semi Final Second Leg clash with Barnsley, and has insisted that his team are up for the game, and will try and make history as they seek to reverse a three-goal deficit. PAPER TALK | Whitney - "We are Playing for our Livelihoods"
Walsall's Interim Head Coach Jon Whitney spoke to the local press ahead of Thursday evening's Sky Bet League 1 Play-Offs Semi-Final Second Leg clash with Barnsley, and has admitted that he and much of his squad are playing for their livelihoods. Chambers - "We’ve Got to Keep Believing"
Walsall Captain Adam Chambers has spoken to club journalists ahead of Thursday evening's Sky Bet League 1 Play-Off Semi-Final Second Leg clash with Barnsley, and has insisted that the team and it's supporters have to keep believing as they go into the match three-goals behind. Whitney - "We Owe the Fans Something on Thursday"
Walsall's Interim Head Coach Jon Whitney spoke to the local press following Saturday afternoon's Sky Bet League 1 Play-Offs Semi-Final First Leg defeat to Barnsley, and has ordered his players to go out and restore some pride on Thursday evening. AUDIO | Whitney - "It Will Have to be a Colossal Performance on Thursday"
Following Saturday afternoon's disappointing Sky Bet League 1 Play-Off Semi Final First Leg defeat to Barnsley, Walsall's Interim Head Coach Jon Whitney spoke to BBC WM Sport and discussed his belief that the players can get back into the game as they host the Tykes on Thursday.